Sometimes a movie comes out of nowhere to shock the world, or at least the festival circuit, and Truth or Dare is definitely one of those films. After being seen all over the world and winning countless awards, the film has had an amazing run of success and is still being sought out nearly four years after its debut. Jessica Cameron, an Ontario native, wrote, directed, produced, and starred in this blood soaked horror movie that leans the same direction as films like Saw and Hostel yet still manages to find its own space within the genre. The look and feel of the movie has that classic indie picture vibe which I feel makes it work even more than if it been made as a glossy studio picture. Cameron's primary focus was clearly on quickly introducing the characters, setting up the story, and then getting straight to the gore filled action which there is no shortage of whatsoever. If you like your horror movies filled with lots of slashing, stabbing, shooting, gushing, screaming, splattering, swearing, oozing, cringing, crying, chopping, bleeding, and hacking then you will definitely have a great time with this one. Truth or Dare pulls no punches as it stabs its way into the hearts of horror fans around the world and Jessica Cameron firmly establishes herself as a powerful female film maker who isn't afraid to push the genre forward as one of today's hardest working, modern day scream queens. 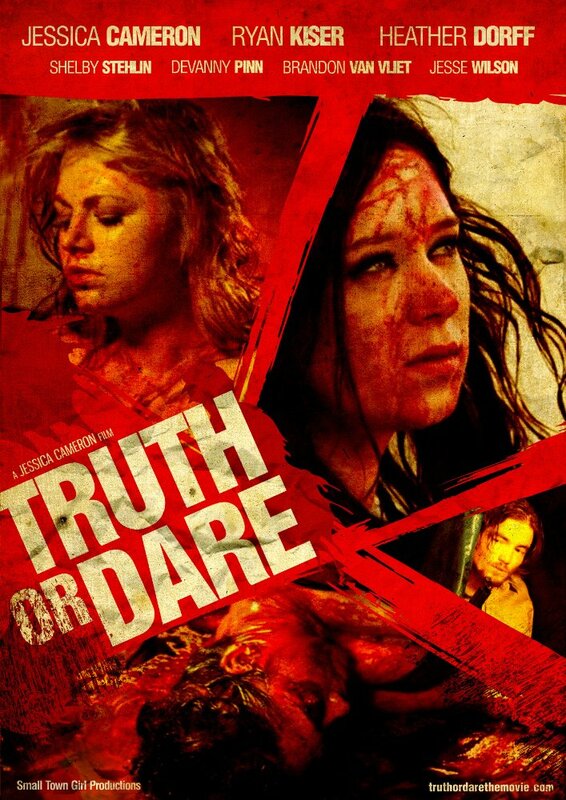 Truth or Dare is currently available on Amazon.com and other outlets. Check out the Truth or Dare Facebook page for more info!